Goodbye cables! 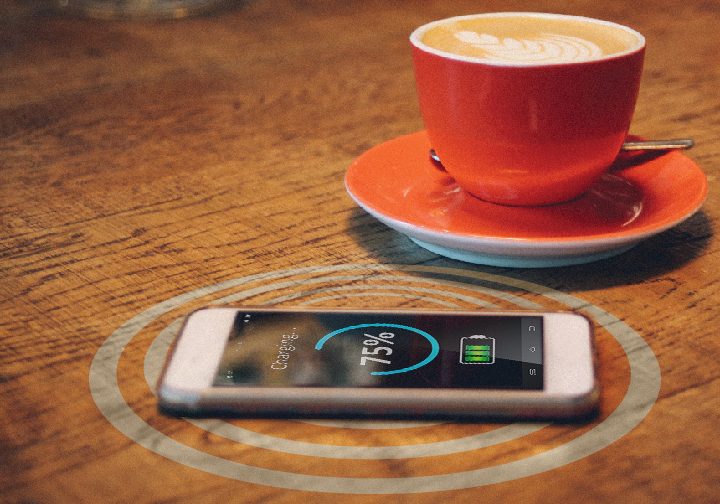 Wireless charging provides consumers with newfound flexibility by eliminating cords and cables from the charging process and creating spatial freedom to charge multiple devices at once. Wireless charging can be used for next-generation devices in consumer, infrastructure, municipal, and industrial applications. Semtech’s LinkCharge® wireless charging platform supports a broad range of device power levels: low (<5), medium (5W-15W) and high (>15W). Our out-of-the-box-ready infrastructure can be used in essentially any environment, providing wireless charging to standards-compliant and proprietary mobile phones and tablets. 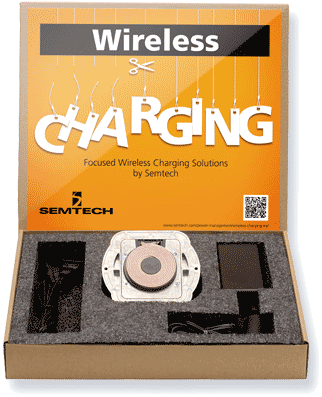 Semtech’s LinkCharge wireless charging platform has a versatile feature set for your wireless charging designs. LinkCharge is compatible with all major industry standards allowing end products to quickly charge any wireless charging-equipped device even as the industry adoption continues to grow and evolve. It is also compatible with faster charging phones for quick, wireless battery restoration. The LinkCharge platform includes the 40 Series, 20 Series, 15 Series, 10 Series, 5 Series, LinkCharge LP (low power), and the LinkCharge CT (counter top), an out-of-box-ready infrastructure wireless charging system for use in public, enterprise and consumer settings. Semtech is a member of the Wireless Power Consortium (WPC) and is active in helping shape the future standards for wireless power. Semtech's LinkCharge CT (countertop) is an out-of-the-box-ready infrastructure wireless charging system. It is a medium power (15-watt output) system that is compatible with the Wireless Power Consortium’s wireless charging industry standards. It is also compatible with faster charging phones for quick, wireless battery restoration. LinkCharge CT can be mounted underneath the surface of existing furniture, counter tops, desks, or other non-metallic surfaces. It can be implemented in a variety of public, enterprise and consumer settings, including commercial and residential buildings, restaurants and hotels, transportation stations and lounges, industrial environments, education facilities, and more. Semtech brings you expertise and leadership, combined with a versatile feature set for your wireless charging designs. Learn more about the specific EVMs available for your low, medium or high power application. Get a summary of the LinkCharge platform specifications and architecture.